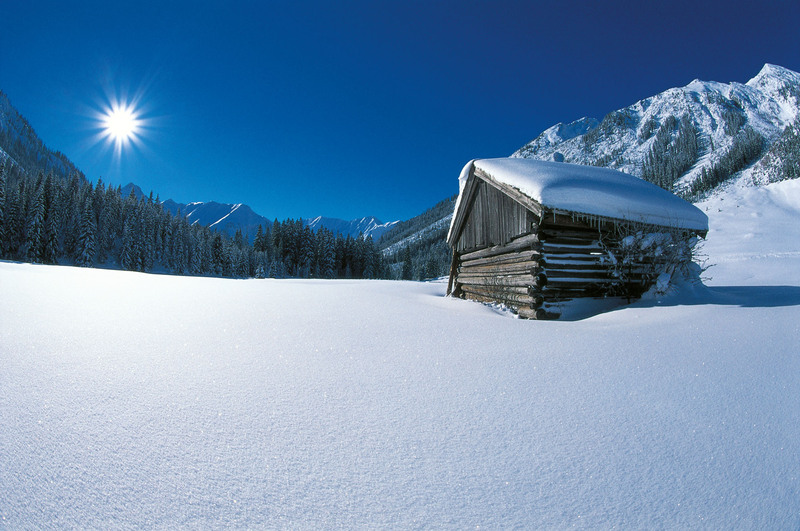 The Dorfstube Holzgau lies in the midst of the idyllic hiking region of the Lechtal and near the ski region Arlberg. Those who seek recreation and active holidaymakers prefer exactly this place on earth to enjoy the nature and the landscape far away from the hustle and bustle. Visit Holzgau yourself and know where to find the perfect location for a pause during your activities: the Dorfstube Holzgau with its comfortable restaurant and terrace. Holzgau’s surroundings are so beautiful that the small holiday village bears the name Pearl of the Lechtal. Holzgau itself radiates the charm of a typical Tyrolean holiday village. Holzgau is especially known for its numerous elaborately painted houses, a traditional art form called “Lüftlmalerei”. Moreover, the village life is characterised by small businesses and cordial hosts. Nevertheless you will find all the basic infrastructure for a relaxed stay in the village: several sports shops, a ski school, a bakery, grocery stores, pubs, cafés as well as a doctor. In winter, the village provides a ski lift including a ski school as well as ideal access points to the extensive network of cross-country skiing trails in the Lechtal. If you wish for diverse skiing pleasure you can reach the top skiing region Warth-Schröcken in ca. 15 minutes with the free ski bus. 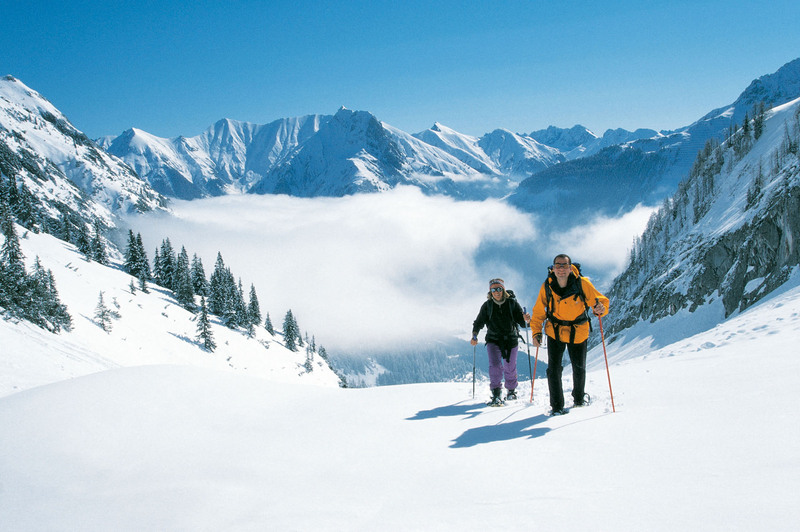 Starting from here, you will also reach Lech-Zürs on your skis thanks to the innovative Auenfeld Jet. For fun off the pistes, several natural tobogganing runs await you in the Lechtal. A 2 km long natural tobogganing run can be found directly in Holzgau. It is also especially nice to enjoy the wintry landscape from a horse-drawn sleigh: an experience which not only excites romantics. In summer, the unique nature turns the Lechtal into a marvellous hiking destination. Numerous hiking paths run over the mountainsides and through the valley. The most famous is the Lechweg. This long-distance trail runs from the Lech’s spring near Lech am Arlberg to Warth and Lechtal-Reutte to Füssen in the Allgäu. Depending on the individual stamina, the trail can be divided into 6-8 stages. The leisurely hike brings you in touch with one of the last wild river landscapes of the Alps, a unique natural beauty. Many rare plant and animal species still inhabit the nature park. In addition to a multifaceted flora, extraordinary animals can be discovered here, such as salamanders. Also bikers delight in this wonderful region on one of the excellently marked bike trails. If you want to collect metres of altitude, be it on foot or by bike, you will find opportunities both for mountain climbing and mountain biking or choose one of the panoramic mountain paths. When you need a pause, the cosy alpine huts welcome you and are also great destinations for families. 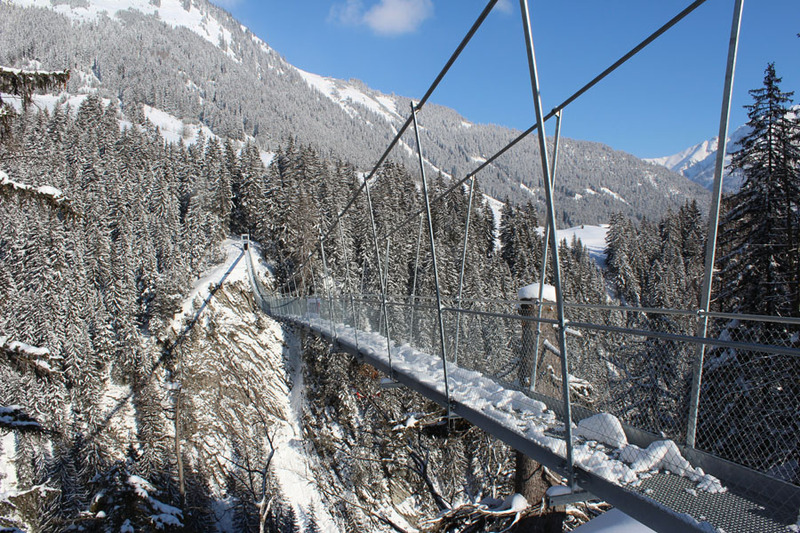 Also do not miss one of Holzgau’s highlights with the huge suspension bridge. It crosses the valley with a length of 200.5 metres and is, therefore, one of the longest in Austria. Not far from the bridge you can discover the wild and romantic Höhenbachschlucht with the famous Simms waterfall. Spend wonderful holidays in and around Holzgau in the Lechtal! Your host family Hanny from the Dorfstube Holzgau is looking forward to welcoming you! For further information you can contact us per mail.